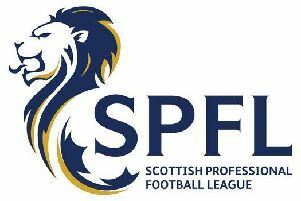 Selkirk scored a hatful of goals on Saturday which helped them see off the calendar year and also present Ian Fergus with his first win as coach. The Souters followed a clearly worked-out game plan, adapting to the windy conditions and a heavy park – and scored a couple of goals before half time. They eventually won 6-0 with a hat-trick by Kerr Scott and single goals from Phil Addison and Garry Nicholson included among the haul. Coach Fergus, who praised his players’ attitude and commitment throughout the game, said they possible deserved more goals in the first period. Vale of Leithen were in the ascendacy at the start of the second half and changed their formation to play three up front, as they put Selkirk under sustained pressure for a while. But, unfortunately, no goals came the way of the Victoria Park men, and Vale’s challenge was largely killed off after Selkirk scored their third goal. They ascended from the bottom of the table, rising beyond Preston Athletic on goal difference. There is another home derby for the Souters this Saturday at 2pm, against Hawick R A.